Hawaii is a destination really geared towards stargazing; boasting 90% clear nights and a total of 13 large telescopes on the summit of Mauna Kea alone. The surrounding ocean cuts down on artificial light pollution and leads to better, more stable viewing conditions. For stargazers the No 1 Hawaii destination has to be the mountain Mauna Kea, over 14,000 feet above sea level. A visitor's centre set 9,200 feet up has several small telescopes for public use, one solar telescope for daytime observations and runs astronomy presentations every Saturday night on current research and discoveries. For beginners a stargazing program runs every night where visitors are guided through telescope use and a constellation tour of the sky. 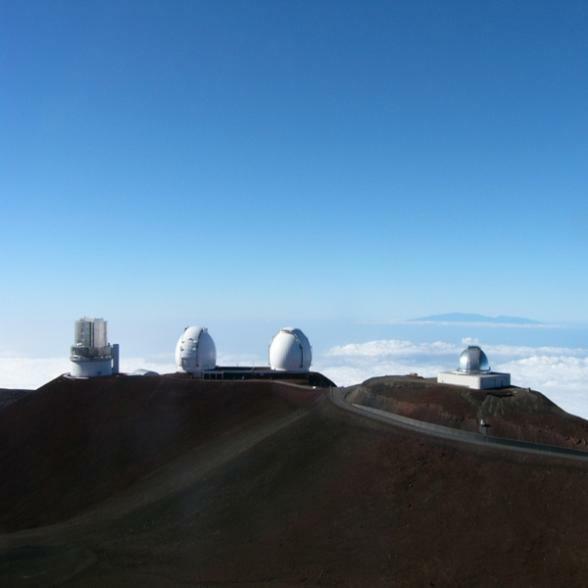 And, provided you can find four-wheel drive transportation, tours to the summit of Mauna Kea also run and include visits to two of the professional working telescopes: the Keck I and the University of Hawaii 2.2 meter. For those who like their stargazing experiences a little less technical, night time boat tours and cruises through the islands can be a great way to experience the stars out on deck. On the island of Maui purely naked eye night sky tours run monthly in the Haleakaka National Park and regular star parties for amateurs can be found dotted across all the islands.